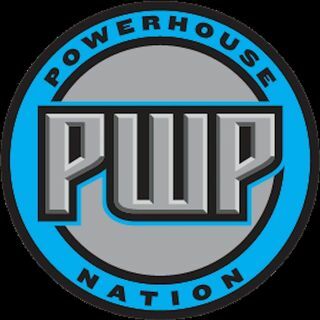 The PWP Nation Network is a podcast channel focused around the world of professional wrestling. Explicit Offended presents Weekly Wrestling Wrap Up: Episode 7 - WWE SUPERSTAR SHAKEUP! Explicit Offended: Episode 91 - Most Anticipated Movies of the Summer with Cougs & Winkler! Explicit Offended presents Weekly Wrestling Wrap Up: Episode 6 - WrestleMania & NXT TakeOver Review! ForTheFan Ep. 48: Hockey Playoffs Are Here!! Explicit Offended presents Hockey Talks: Game 7 (Episode 7) - NHL Playoffs Preview! Explicit Offended: Episode 90 - F*CK IT PART 6! This podcast is dedicated to the opinions and thoughts of PWP Nation's Eron Ramadanov as he tackles the latest in professional wrestling, as well as interviewing interesting people in the business. Two fans talking sports, football & hockey. Giving fantasy advice, latest headline & rumors around the NFL & NHL. What makes a film a guilty pleasure? This is a movie that you love to watch, but won't display on your DVD shelf... or maybe you will stop to watch when you flip by it on TV, but never if someone else is in the room. To me, these are films on my DVD shelve that no one reviews, but are great films to me. Having a Master's in TV ... See More and Film, I am here rate and review movies that don't get the love they need. Podcasts by PWP Owner Jay Alletto including "Don't Try This At Home! ", "Booking The Finish" & "The Jay Alletto Show"
Join PWP Nation's own Justin Bailey, as he keeps you up-to-date with the latest pro wrestling and MMA news, along with his reactions and analysis on all of the latest happenings in WWE, UFC, AEW, NXT, Bellator, NJPW, ROH, Impact, PFL and more! Only the manliest here on mancast! Welcome to the “Seinfeld of Podcasts” with Offended! Hosted by Tricky, Stoutsy & Cor Cor Corey! Offended offers the best hot takes on Sports, Music, Movies, Professional Wrestling and just about anything (or nothing) with no filter! Follow today, you won’t be disappointed...or maybe you will, we don’t care much. PWP Nation featured writer, Zack Heydorn, gives you a weekly in-depth analysis on the world of pro wrestling. Weekly segments include "This Week In WWE", "WWE Match Of The Week", and "#BottomLineBurn"
On The Card, we bring you all the relevant wrestling news from outside of WWE. Each episode will carry a running order, so be sure to listen to the latest news from the world of pro wrestling! PWP Nation presents "The XFL Podcast!" Brian St. Denis and Eron Ramadanov talk about all the news and hysteria beyond the upcoming debut of the XFL in 2020. Not a typical wrestling podcast! Will discuss NJPW, ROH, WWE/NXT, and other promotions with intelligence, professionalism & creativity! Hosts: Kelsi (of the YouTube Channel: SuperKicking It With Kelsi) and Paul Boron. Both hosts work in the television industry in New Orleans. This show is a collection of reviews of matches, promos, feud and storylines that made wrestling great. Each and every week, PWP Nation's Jay Alletto (@JayAlletto) and Eron Ramadanov (@Eron_PWP) breakdown the happenings of Monday Night RAW immediately after the show goes off the air. You can catch the LIVE video version at YouTube.com/PWPNation!